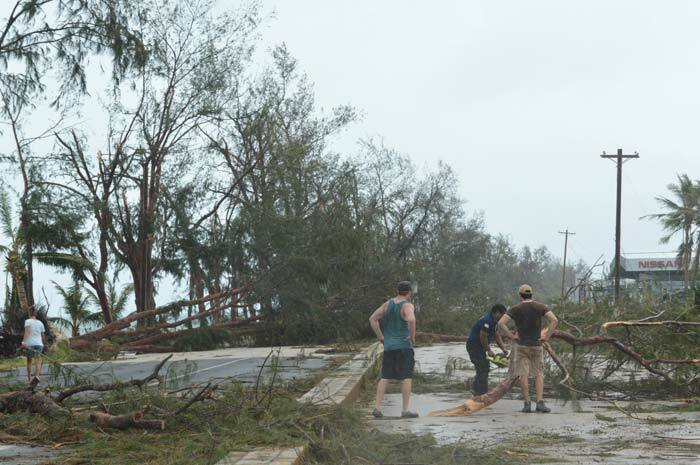 A total of 307 families on Saipan are still without safe and sustainable housing, nearly a year and a half after Super Typhoon Soudelor devastated the islands, according to the non-profit group Commonwealth Advocates for Recovery Efforts. 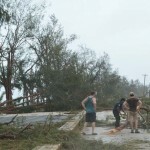 That roughly equates to more than 1,000 individuals, according to CARE director Jenny Hegland, and most are spread throughout the villages of Saipan. “It’s really all over the island. What we found is the damage is equally spread. The most damage were in Kagman and Dandan because those are the biggest villages,” she said following yesterday’s CARE annual meeting at the Governor’s Office conference room where Hegland presented the group’s 2016 Impact Report. She said many of the 307 families have made temporary fixes on their homes that are in no shape or form able to withstand even a typhoon much less powerful than Soudelor. “We’re a very strong advocate of our work because a lot of these people are living in precarious situations. We’ve also heard a lot of stories of people crammed into small spaces as a lot of them have been living with relatives,” she said. Hegland estimates that CARE would need at least $1 million in cash and in-kind donations to help at least half of the 307 families rebuild their homes. In 2016, CARE was able to get its hands on $853,000 in cash and in-kind donations—$437,000 in monetary donations and $416,000 in in-kind donations. Only some $29,000 was not spent from the total CARE got last year, with $416,000 going to in-kind expenses and $408,000 for monetary expenses, according to its 2016 Impact Report. For 2017, Hegland said she hopes to raise the $1 million like last year, which was a mix of cash and in-kind contributions. To start with, CARE also got a $303,000 appropriation from the Legislature this year. Unlike last year though, Hegland said CARE could now apply for federal grants as the non-profit is now a federally recognized 501(c)(3) organization. 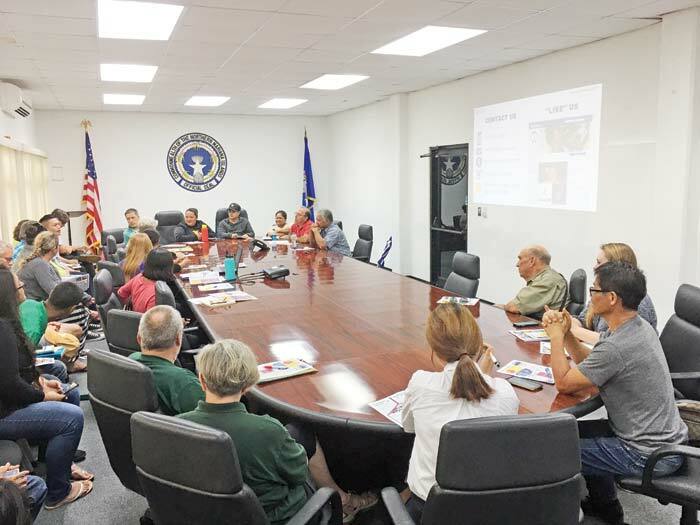 Hegland and other officials and members of CARE were joined in the meeting by acting governor and Senate President Arnold I. Palacios (R-Saipan), who commended CARE for its tremendous work in the recovery efforts after Soudelor. 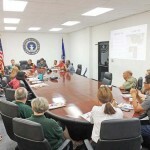 “It is an organization that was very vital in the recovery of Saipan. I’m not sure I can quantify their contribution but without them and other members of our community that stepped up, the recovery wouldn’t be as soon as it happened,” said Palacios. He acknowledged that the government must also continue to do its share in helping CARE by earmarking funding so it can help families and individuals still not fully recovered from the Category 4 typhoon. “In the last budget call, we approved some funding and one of the key points is our government must also step up. 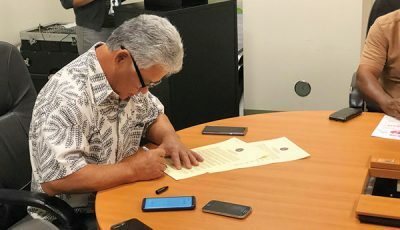 Our volunteers are stepping up to help our community and so we also need to set aside some resources to assist our community, too… I encouraged them to submit a request for funding that we can consider for the next fiscal cycle,” he said. -358 families or 1,324 individuals received some form of assistance to help in their recovery. -$572,966 was allocated to families for building materials to rebuild stronger homes. -54 families received beds, refrigerators, and other household items essential for long-term recovery. -571 volunteers spent 20,588 hours helping rebuild homes on Saipan. -38 network partners and 2,000 attendees participated in Soudelor anniversary events.